We interviewed Ron and asked him some questions about how to license your music. Ron’s background combines all the creative and business aspects of the music industry. His professional credentials include past lives as a Performer, Songwriter, Recording Artist, Record Producer, Artist Manager, Publicist, Journalist, DJ, Art Dealer, Salesman, and Author. All of this has enabled him to develop unique insights into the demands of both art and commerce. Ron has appeared on or moderated several industry panels, including Film Music panels for The Toronto Film Festival, Nashville Film Festival, and various SOCAN events. 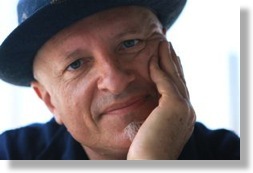 He has also been the subject of several articles in industry periodicals and has written and published a guide on licensing music in film and television which is geared towards the indie musician and/or label owner, and which is the basis for a Film/TV Music course he developed for music industry school Harris Institute. I had been a recording artist. I had had a deal with BMG in the late 80’s with my band “Picture Comes To Life” and we lost our deal. I had got tired of the performing side and slowly moved into other things. I wanted to change my life and so I started a publicity company and then a management company. That took me through to about 1994. Then I got a phone call asking me if I wanted to interview for a company opening their Toronto office in music supervision. I went for it and got the job. I worked there for two years and then I started my own company shortly after that. Fortunately for me, I like a lot of different kinds of music. I always have. I like the soup du jour but I also just like good music. So I am able to listen to some pretty far reaching music now that maybe I wouldn’t have with a critical ear. I am now listening more critically, and by critical I don’t mean saying something negative about it, I mean to say I’m studying its structure a little more and how it might work in T.V. There has only really been two types of music to me, good music and bad music. So it’s not so much that I have changed my way of listening to music but that I can listen to any music these days and have an opinion to how it works in the field I’m in. I am relieved I don’t have to worry about thinking how something is going to work in radio, because that would be the death of me, you know, don’t bore us get to the chorus, there’s not enough of a hook, song structure,… sometimes structureless music is really great in film and TV. So when listening to music I feel fortunate not to have to think like a radio programmer listens. That begets the question of how should artists be looking to get their music in film and TV. It used to be that an artist, because there weren’t so many trying to do this, could get heard above the noise. Now I think the best way to find out about stuff is getting someone to work on your behalf rather than you yourself trying to find it. I just don’t buy into one artist with five songs or fifteen songs spending time trying to get their music into TV shows. It’s too competitive, too many people doing it now. I’d leave it up to the people that make it their job to find out what shows are looking for music. I have people send me two songs and I tell them “You’re kidding me, you can’t be sending two songs to people, you’re killing yourself”. Is it realistic to think that artists can approach music supervisors directly orare their chances higher going through a company/library/etc? I can only speak from our point of view. I think that life has changed and therefore the latter is the better method now. We used to deal with artists directly all the time and really enjoyed it. In fact we have made some really good friends with certain artists that we've licensed from a lot. But it would be very difficult now, in this environment, to get our attention as a single artist, not impossible, just far more difficult because there is just so much other noise happening and so many other people with a lot of recordings. You can only talk to one person at one time and if I’m going to talk to you for only ten minutes and hear about your ten songs I should spend my ten minutes talking to you if you have a thousand songs. So it’s a better idea these days for artists to deal with people that do this for a living. They are much more plugged in. Or if you’re an artist, here’s another way of doing it, go find 10 other artists that will let you do it for you and them, then you’re becoming the guy that is doing it for a living. Something that sounds passionate, different or rather unique, because it is very hard to capture my attention if you sound like Madonna or you sound like any band that I know. But, when someone sounds truly different, it’s like back in the day when you first heard Massive Attack, you went “wow, what’s that?”, or the first time you heard Portishead and went “What’s that?”, or the first time you heard Loreena McKennit and you went “What’s that?" That’s what gets you, it’s when you say “What’s that?” as opposed to “That’s just like so and so, yeah, yeah, I’ve heard that before….”. For me that doesn’t do it so much. There is so much music out there that it is hard to make it unique these days. Would you say that with the current economic situation and budgets musicsupervisors are more eager to work with indie bands? Yes. It has been going like that for several years now. It’s nothing new. The question might be “Where is this going?”. Of course we use indie bands. We love indie bands. Almost 95% of what we license is from indie bands, in fact maybe it’s 98% from indie bands, come to think of it. For every 100 licenses we do probably 98 of them are with indie acts. What do you think about music supervisors being the new A&R's? That has been happening for a while, at least the last several years. The A&R for what is the question. A&R for record companies? But where are the record companies? One of the few areas that artists are able to make money now, outside of live, is through licensing. Therefore, I think that the license-ability of an artist is something that perhaps helps somebody decide to work with an artist because it is one of the very few true revenue streams. If you’re a manager and you want to manage a band, I would expect that the license-ability of that artist has something to do with your decision, if economics has something to do with your decision. We recognized in 2003-2004 that we were the new A&R. We realized that if all anyone did was just listen to what we were putting in TV shows, that was where the quality music was because you can’t put bad music in a TV show typically. It stops people cold. So sure new A&R but for who? Because the opposite is going on too, the other end of the stick, which is people that are downsized from record labels, and people who used to want to be A&R guys now want to be music supervisors because there are no A&R jobs. How much money can indie artists expect to make from licensing music into TV and Film? The fees are coming way down real fast. Supply and demand, which any business has, supplies go down, fees go up. Supplies go up fees go down. There is an endless supply of music now. It is so easy to find music it is ridiculous. So the fees have gone through the floor. When people used to say things like “we’ve got $20,000 dollars” they’re lucky to get $3000 in that same environment. People are much more aware, producers are much more aware of the whole music licensing thing. And people have been competing on a cost basis, which is always bad for any business to compete with cost. That is how Walmart competes with other businesses, on cost. They keep the cost going down, down, down because they have pure volume. We even get people trying to give us music for free. I have no expectation that our producers will go that low but they won’t pay a lot for it. Music traditionally has been something people don’t want to pay a lot for, like live music at the bottom end of the barrel. We'd like to thank Ron once again for his time and insight into music supervision and licensing. Ron has a book available on this subject entitled "How To License Your Music Into Movies And Television" which is available from his website. For more information, a list of select credits and how to contact Ron please visit www.arpix.com.